Sie haben eine Frage zum Izz Room Motel? Das Izz Room Motel in der sympathischen Region Pantai Cenang nimmt in der an Sehenswürdigkeiten reichen, ideal zum Shopping geeigneten, nachtaktiven Gegend von Langkawi eine besondere Stellung ein. Lediglich 16.5 km vom Stadtzentrum entfernt, garantiert die strategische Lage der Unterkunft, dass Sie viele Sehenswürdigkeiten schnell und bequem erreichen. Die Unterkunft liegt in der Nähe folgender beliebter Attraktionen der Stadt: Museum Laman Padi, Laman Padi Langkawi, Langkawi Oriental Village. Der exzellente Service und die herausragenden Einrichtungen des Izz Room Motel sorgen für einen unvergesslichen Aufenthalt. Die Unterkunft bietet Zugang zu zahlreichen Dienstleistungen, einschließlich 24h-Sicherheitsdienst, öffentliches WLAN, Parkmöglichkeiten, Restaurant, Wäscherei und mehr. Erleben Sie qualitativ hochwertige Zimmereinrichtungen einschließlich Bettwäsche, Spiegel, Ventilator, Nichtraucherzimmer, Klimaanlage und mehr, die Ihnen nach einem langen Tag das Abschalten leicht machen. Außerdem sorgt das umfangreiche Angebot an Freizeitaktivitäten in der Unterkunft dafür, dass es Ihnen niemals langweilig wird. Das Izz Room Motel ist ideal für Reisende, die eine charmante, komfortable und bequeme Unterkunft in Langkawi suchen. Nette und gute Lage, da es am Cenang Beach liegt und nur 2 Minuten zu Fuß vom Nachtmarkt am Donnerstag entfernt ist! Das Zimmer hatte einen merkwürdigen Plastikboden der an mehreren Stellen aufgerissen war. Das Internet ging abends fast gar nicht, was wir als nervig empfunden haben da wir nicht mal unsere Weiterreise planen könnten. Wir waren dort 8 Nächte und es wurde nur einmal sauber gemacht, nachdem wir danach gefragt haben. Toilette war auch undicht. Ein positives Erlebnis war das Rainbow Café was ca. eine Minute zu Fuß entfernt ist. Das Izz Room Motel liegt etwas abseits des grossen Rummels, trotzdem ist man superschnell am Stand, im Restaurant oder zum Einkaufen. Wir haben in der Viilla B genächtigt. Gefallen hat mir vorallem die eigene grosse Terrasse und die grosszügige Raumeinteilung. Der Aufenthalt war angenehm, das Personal sehr freundlich und die Lage sehr gut. Bei dem Preis zweckmäßig und durchaus empfehlenswert. Leider kein Safe oder Schließfach!! Es war in Ordnung. Man erhält für die Gegend, wofür man zahlt. Sauberkeit war ok (man muss aber dennoch darauf achten u Bescheid geben, wenn mal irgendwo ein Getier rauskommt). Es ist sehr ruhig dort; Gäste meist Pärchen oder Einheimische. Die Umgebung am Ende des Viertels ist nett, ländlich u ruhig (Hühner u Kühe laufen frei rum :) , dennoch nur ca. 5 Minuten von der Einkaufs- u Restaurantmeile entfernt. Beachten! : - (zumindest) in den Standard-Room mit u ohne Bad gibt es nur Ventilatoren, keine AC (Klimaanlage) - man kann nicht mit Kreditkarte oder sonstiger Bankkarte zahlen! Nur bar! Alles bestens im Izz Room Motel. Die Zimmer mit Ventilator sind leider sehr warm was aber zu erwarten war. Vom Preis her auch zu empfehlen. We choose this hotel because the rate is cheap, however, I then noticed that I booked a room with a fan instead of air-cond (my own fault, indeed). 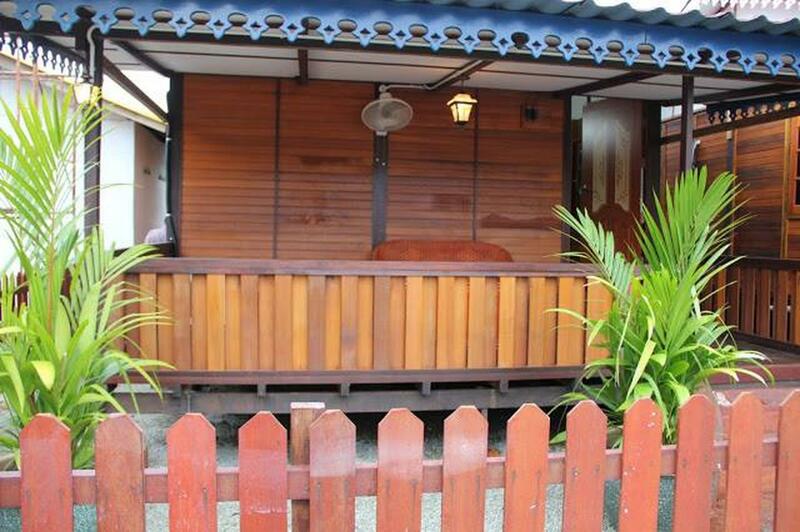 The motel is located in the village area nearby Chenang area. So u will need to hire car/motorbike. However, the room is so clean, bed & blanket are comfortable and very friendly staff. The room not only have ceiling fan, but also a stand fan. They also provide refrigerator near the counter for customer to keep their chocolate :).. But because of very hot weather, we then top up RM30 for air-cond which we think reasonable rates. The motel is very quiet place at night where we can sleep soundly at night after our tiring day. For those who like quiet place with village feel, this motel is a good place to choose for. Last time I stayed in this hotel, the room was dirty and congested. 1) Hotel was located at a certain distance from the main road, it was rainy day, the walking ground was all wet & very inconvenient to walk. 2) Bedsheets, pillow cases & blankets were stingy. 3) The type of window curtain used was translucent from the outside, no privacy at all, not suitable for couples. 4) Hotel did not provide toilet papers until requested, no body shampoo, no cups for drinking water. 5) Hotel refused to allow late check-out at 1pm of which many other hotels allowed, not flexible at all! 6) Completely not value for money! Basically, nothing was good about this hotel except for staff was nice! We were extremely disappointed & we've got check-out 1 day earlier. We originally stayed 3 nights and extended for an additional 3 later on. We stayed in a basic fan room, which was located just behind the reception area. This was great because we had Wi-Fi in our room throughout. It's very peaceful at night and only a short walk to the main street and the beach. The room was OK, you'll get what you pay for really. The only thing that irritated us was the very smelly bathroom sink. They have free hot and cold drinking water available which was awesome! Would stay again! We stay in the motel for 4 days 3 nights. 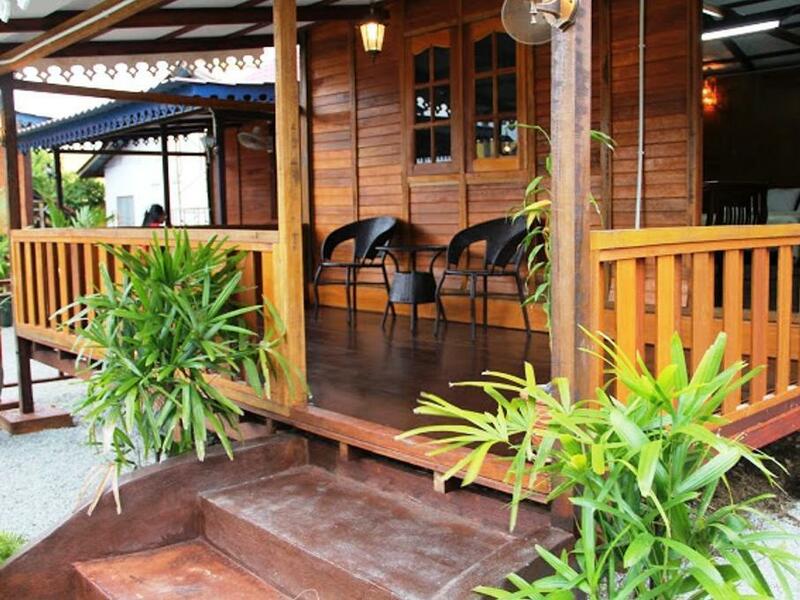 The location is walking distance in between Cenang Beach and Night Market (Thursday). Good for those don't want to mess up their room with sand beach as it is not too near the beach. The staff very helpful. They provide us detailed location on how to go and to get good quality anchovies (ikan bilis) and cheap chocolate shop when we asked them. The facilities are ok. The room is clean when we arrived. Good for couple and small family. Not really suitable for those who have 2 or more kids. They even provide filtered water (COWAY) for free at the lobby. So we happily drink and refill our drinking bottle every time we go out for our travel in Langkawi. Basic room with a fan, nice to have terrace outside. Quiet neighborhood. You can get hot and cold water from the reception. Laundry service. Staff were lovely, staying open until we arrived at midnight. Rooms are a good size for the price, it was nice having a fan and not air conditioning. A very quiet space located near restaurants and the beach. Highly recommended. The room is basic, comes with own bathroom and ventilator. The hostel is located in a great quiet neighbourhood with local restaurants, bars ( we highly recommend: kasbar) and a street market once a week. Moreover , its just a little walk from the Main Street and the beach. The staff was very friendly and always available. We also used the laundry service, which was cheap and professional. However, we had cockroaches in the bathroom and the mosquito nets have holes. But if you can handle that, izz room is a good option. If someone wants to stay at pantai cenang beach side hotel with low cost, I think it is a suitable hotel. It is just 5/7 minutes walk from hotel to beach. Staffs are really good and friendly. Rooms are clear enough to stay.Very clam and quite. But hotel should include some facilities like a dressing table, tissues etc.